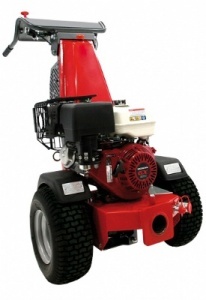 The STIGA Silex 95 B is a multi-functional unit powered by a powerful 190 cc Briggs & Stratton engine, with geared reverse drive, compatible with a range of attachments and accessories. The Mountfield Manor 95H is a versatile, multifunctional 2 wheel tractor, aimed at the domestic market. 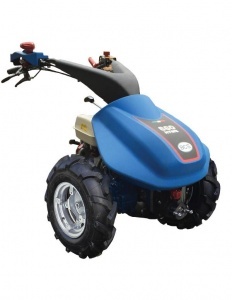 Powered by a reliable Honda GCV160 OHC engine. 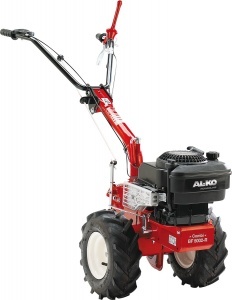 This powerful AL-KO combi unit can be fitted with a range of six attachments to tackle any task, from ploughing snow to tilling, ridging and sweeping. Featuring a powerful Briggs & Stratton engine. 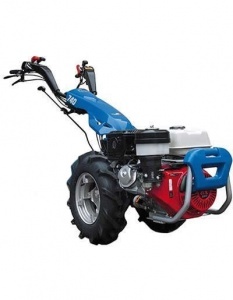 A compact and easy to use power unit as part of BCS's range, compatible with a wide variety of attachments and implements, and with a choice of either a Honda GP160 or a slightly larger Honda GX2000. 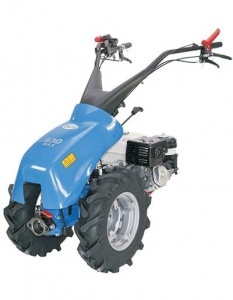 Benefiting from additional gear speeds compared to the 710 model, this two wheel tractor can be fitted with a wider range of implements and has two engine options to choose from. 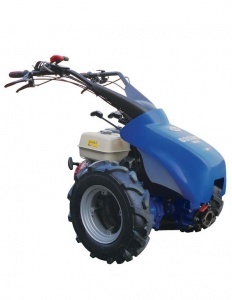 A Honda-powered two wheel tractor, this model features an all gear drive combined with a single working speed for superbly simple operation, plus boasts compatability with a range of implements and attachments for versatile use. This power unit from BCS is ideal for operating a wide range of implements, including a scythe cutter bar and flail mower. With a powerful 8.4 hp Honda GX270 engine and a Banks option for working on slopes. 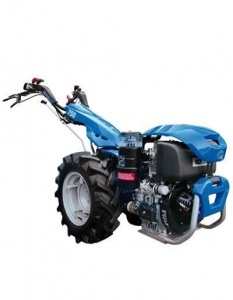 This extremely versatile two wheel tractor is able to be fitted with over 20 different implements, allowing you to take on a vast array of challenges with a single power unit. With a choice of petrol & diesel engine options. BCS's most popular two wheel tractor, boasting the highest levels of versatility in their range, with compatibility with over 25 different attachments. 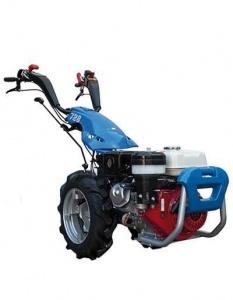 A choice of Briggs & Stratton, Honda and Yanmar engines. 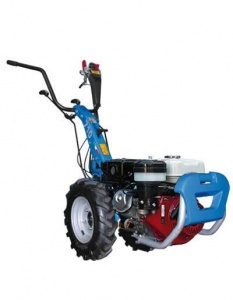 BCS's most powerful two wheel tractor, this is the ideal machine for landscape contractors, nurseries and other professionals, able to deal with some of the toughest cultivation, clearing and cutting jobs. 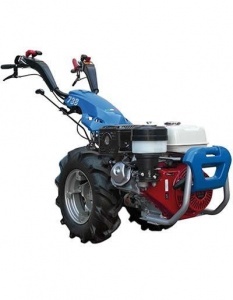 This power unit is to designed to offer you a heavy duty drive system, a low centre of gravity, simple controls and the ability to fit it with a wide range of implement heads for grassland management, estate maintenance and snow clearing. 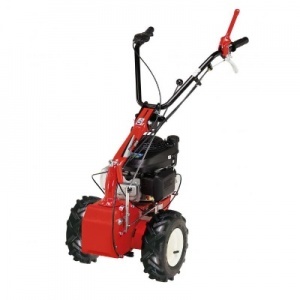 This is a powerful and robust two-wheel tractor compatible with a wide selection of attachments, including a front sweeper, weedbrush, spreader and knife mower. With a 6.5 hp Honda engine. Sold as the power unit only. A multi-purpose power unit with a range of engine options and the advantage of hydrostatic drive and assisted hydraulically controlled steering. Compatible with a wide variety of attachments and implements.